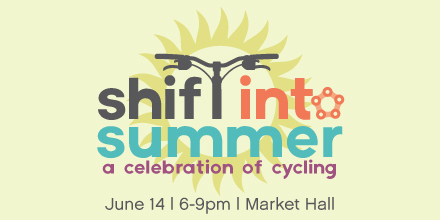 Cycling has come a long way in Peterborough and the Peterborough Bicycle Advisory Committee’s (PBAC) Shift into Summer event will highlight successes, show some local film shorts, and celebrate cycling in this region. A few special announcements will be made at the event, which are sure to excite local bike enthusiasts. See some local film shorts, including one that made it to the Portland Bike Film Festival. We will also have an announcement about cycling in the downtown and a myriad of door prizes. Everyone interested in cycling is welcome! There is no cost to attend and free valet bike parking will be provided.